• grant access to the site(s) assigned to operator(s) by their supervisors. the title bar of a camera window when running a live session using a PTZ camera. live session, see procedure 9 on p. 2–1. 2. Click a camera window that displays [PTZ] in its name. 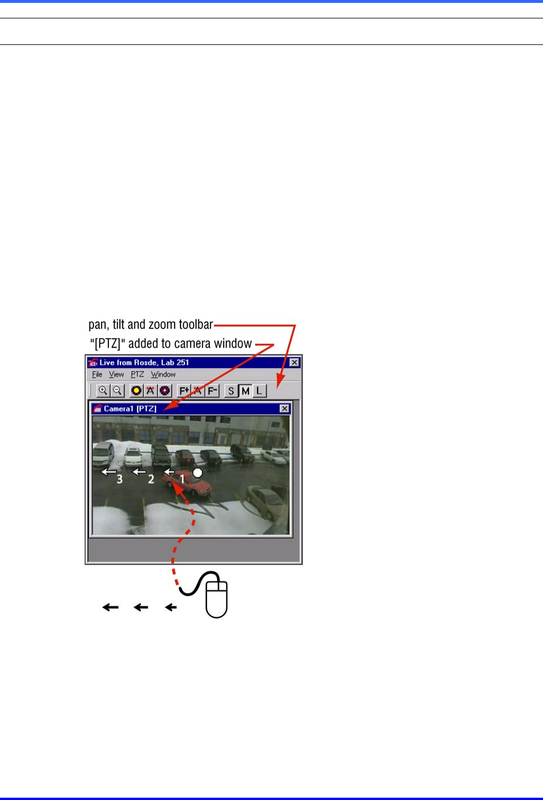 camera window, as illustrated in figure 23.